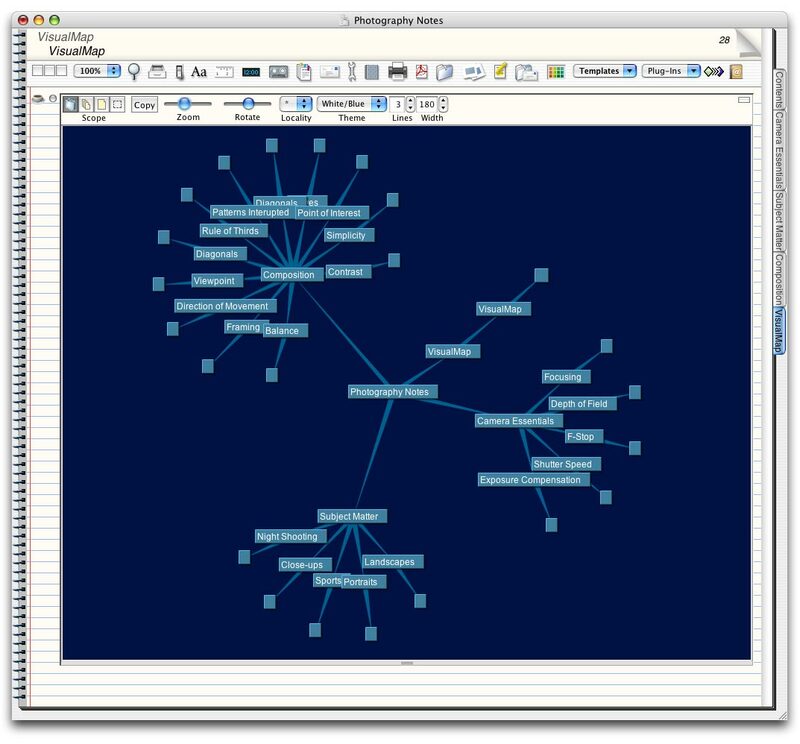 Like Circus Ponies’ NoteBook ( , November 2004 ), AquaMinds’ NoteTaker uses a spiral-notebook metaphor for note taking, outlining, and clipping information from other applications, such as your Web browser. NoteBook’s polished interface, multiple categories (NoteTaker still only lets you assign one category per note entry), and ease of use give it the edge in user-friendliness, but the latest version of NoteTaker offers an assortment of enhancements that should appeal to power users. NoteTaker’s most promising enhancement is its new Plug-in Component Architecture, which supports embedded Java applets. Now, you can run a Java applet from the Web simply by typing the applet’s URL in a note and double-clicking the link. NoteTaker won’t save the applet’s data in the notebook without modifications, but if you can program in Java, you can easily modify existing applets—or create custom ones—and attach them to a notebook. They’ll run inside pages and persist after you quit NoteTaker, saving their data (unfortunately, you can’t save applet data in the free NoteTaker Viewer, which lets you view notebooks without owning NoteTaker and would be perfect for distributing custom applications). AquaMinds provides a handful of demonstration plug-ins, including Calc (a bare-bones calculator), DBquery (a database viewer), SketchPad, Table (for creating text-only tables), and VisualMap (for creating dynamic maps of a notebook’s content). You’ll need lots of RAM to handle the plug-ins, though. AquaMinds recommends at least 512MB. You’ll also need OS X 10.3 or higher and Java 1.4.2 or higher. NoteTaker has always been scriptable (this version brings the number of included AppleScript scripts to more than 50), and adding Flash plug-ins is as easy as drag-and-drop. NoteTaker supports basic Web browsing. You can browse Web pages embedded in entries or floated in their own windows, but when you create a new browser entry, the window is so short that you’ll almost always have to enlarge it, and there’s no preference to change the default size. You can’t search within Web pages inside NoteTaker, but a new MegaSearch script scours four search engines (Google, MSN, Teoma, and Yahoo) and populates your notebook with pages of results. This is useful for research, but it creates a new page for each entry (as well as a Summary section with a single page listing the top 10 results from each search engine), and then you have to resize all of those embedded browsers. This version also introduces a number of usability improvements. Highlight & Summarize creates more flexible search reports within a notebook. A new Hyperlink Panel makes it easier to manage links to URLs or external files, footnotes and endnotes, voice memos, and AppleScripts. A special X-Ray View displays the content or target as you hold the Option key while mousing over the link. NoteTaker has always been a powerful and flexible application, and this version offers more options than ever. That’s NoteTaker’s strength—and its main weakness. It can be overwhelming at times. If something doesn’t work as expected, you’ve probably overlooked a preference somewhere. AquaMinds offers an excellent user guide, but it’s dated 2003 (AquaMinds says an updated version should be available by summer). A What’s New notebook, available from the Help menu, is essential reading. Students, educators, researchers, developers, and Mac power users should appreciate NoteTaker’s new features, especially the Java applet support. But if you’re looking for more elegant and less expensive (albeit less brawny) note-taking software, you should also consider Circus Ponies’ NoteBook.